I attach here a photograph of the Commander, Gary Brooker, taken backstage at The Paradise (a small rock club) in Boston; date late June, 1979. 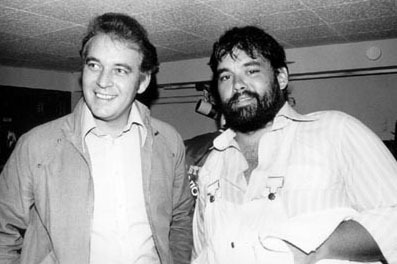 It is a photo of Gary and Lowell George of Little Feat (Gary and Keith in particular are big fans [as is Mick! ]: they did a tour together as I recall, having seen them in a theatre in Westchester somewhere). I was a publicist for Chrysalis at the time, and we were "on tour" promoting No More Fear of Flying. That release was "cursed" somewhat, as that weekend prior to the LP release there was yet another DC10 (I believe) crash in a series of ongoing plane mishaps. This photo remained in my camera because our next stop was Washington, DC. As it happens Little Feat were in town too. So what happens? Lowell overdosed while we were in town! So I thought it would be in bad taste to release the photo. Unbelievable, eh? Check out the photo: interesting how Gary won't look at Lowell; as I remember it was very uncomfortable backstage. 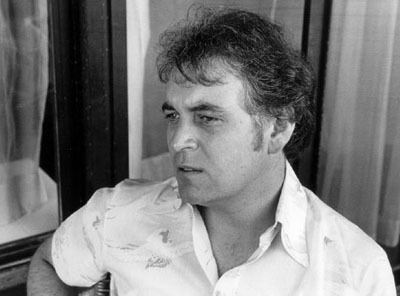 Photo #2 of Gary Brooker was taken on a terrace at Watergate Hotel late June 1979 during the No More Fear of Flying promo tour. I started at Chrysalis Records in 1978. One of the first publicity projects I worked for – with a great deal of excitement and 'Is this really happening?' – was for Gary Brooker's solo LP No More Fear of Flying. 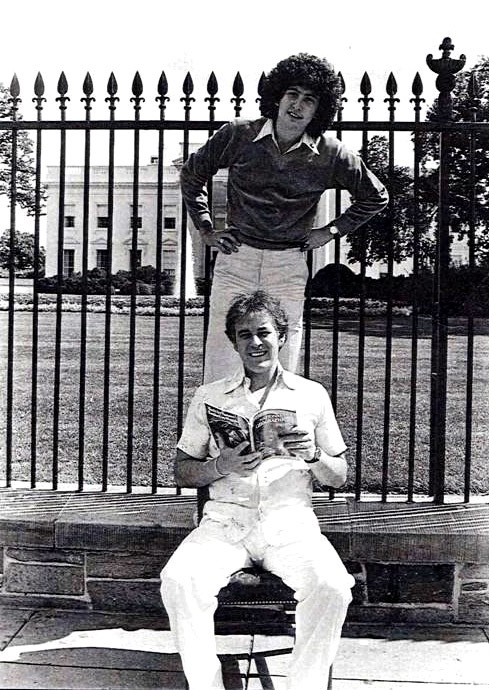 Here's a shot of me and Gary which I staged, sitting and standing in front of The White House, no less! Look closely and you will see Gary reading National Geographic.